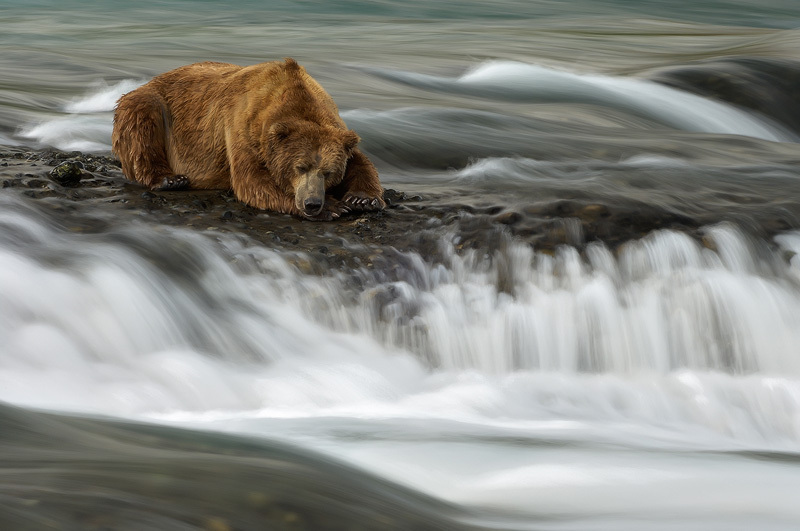 This was shot in Katmai National Park, Alaska. There was a lot of salmon in the rivers, so there were a lot of bears. At one time I counted over 30 brown bears fishing for salmon at this particular spot, all at the same time. But even when the rivers are full of salmon, it still takes considerable skill and patience to catch one. And some bears are better at it than others. This one bear was standing at the same spot for hours in a row, and didn't catch a single salmon. Eventually it got tired of it, and decided to take a nap.